‘Failing to plan is planning to fail’… heard that before? 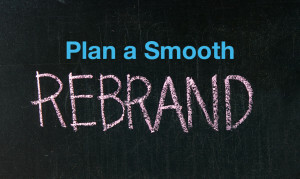 The first step in achieving a successful rebrand rollout is with accurate planning. A GPS won’t direct you until you put in an address, likewise, a business with no direction goes nowhere. A plan provides direction and serves as a checklist to foster a smooth rollout. When rebranding or refreshing it’s essential to have a plan. You need to establish clear objectives and work towards those. What do you want to achieve by rebranding? A rebrand or refresher can be a strategic business method to growth and it’s in the planning stage that these goals should be clearly identified. Something that cannot be overlooked while planning is business positioning. Consider where you want to position your brand in the marketplace and how you will differentiate it from competitors. What personality do you want it to take on? Consider Ralph Lauren (an International clothing label): They position themselves not only as a quality clothing brand (there are many of those) but also as a very strong status symbol for those who wear their clothing. Their brand personality radiates through every touch-point. They didn’t get there by accident, they planned it. You should do the same. A brand is more than a logo, it’s how your company is perceived in the market place and what it says about your business across the range of touch-points available. When planning a rebrand or brand refresh it’s important to allow time to change all touch-points as there’s a lot more than you may think (view our 60 point checklist for rebrand rollouts). Make a list of them so that it’s a smooth and seamless transition and simply ‘tick off the boxes’. Do you need branding advice you can trust? For over 15 years our Speedy Signs stores have been working closely with companies to create customised branding and signage strategies that expertly translate their company image into signage that makes a lasting impression, and we can do the same for you. With 23 stores across New Zealand, there is a store near you that can provide tailored services and advice that is specific to your business needs. Your local Speedy Signs store has access to the latest technologies, products and materials that others simply do not have. Add this to their exceptional branding and design expertise and there are no limits in creating the perfect signage strategy for your company. Whether you have a big or small branding project, fully developed artwork or none at all, your Speedy Signs store can provide you with a level of service and skill that will exceed your expectations. With vast experience behind us, you can rest assured that the signage advice provided to you is trustworthy. Speedy Signs will work with you to create signage that really drives your message home and gives your company the edge that it has been waiting for.